Get notified in real time by events that matter to you with the Slack Integration in WHMCS. First introduced in 7.4, this feature allows you to receive notifications in Slack whenever events occur in WHMCS. Whether it's a new ticket or a new order, a cancellation or a failed fraud check - with this integration you and your team will always be kept in the loop. Slack is a powerful messaging app that enables teams to collaborate in real time. Slack integrates with many business systems, data, and applications making Slack a powerful collaboration hub that connects your whole organisation. Channels - create channels to organise conversations, tools and files per departments, projects or even office locations. Search - with it's powerful search tool, you can refer back to past conversations and even find keywords within attached documents. Notifications - choose to receive notifications on your desktop, mobile device, or by email. Notifications can even be customised by channel, so you can prioritise where your attention goes. 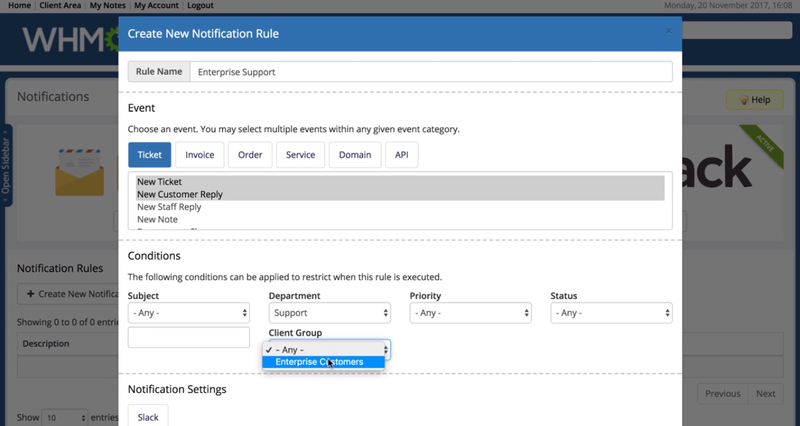 With our slack integration, you can make Slack even more powerful by setting up event-driven notification rules for events that matter to you in WHMCS. To access this functionality, simply navigate to Setup > Notifications > Configure Slack to get started. 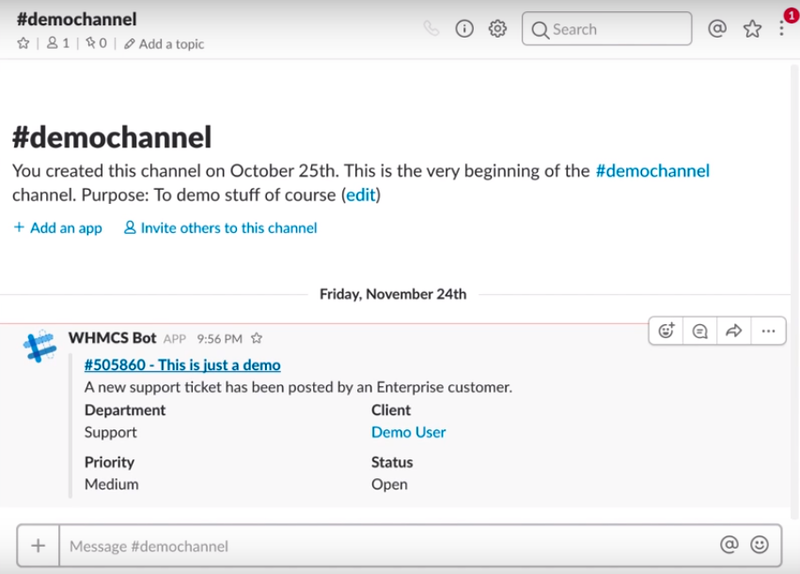 Try Slack now and leverage its power to scale team communications. It's free for a small team! Copyright © 2019 WHMCS Limited. All rights reserved.